Tirunelveli or Nellai (as called in Tamil) is a town that is situated near to Kanyakumari/Tuticorin in Tamil Nadu. This place is very famous for its Halwa – The jelly like sweet made out of wheat and ghee that almost melts in your mouth! In fact, Tirunelveli Halwa has become a brand in itself! It is easily one of the best sweets I have tasted so far. People here say that the halwa recipe is more than hundred years old. Some say that the halwa recipe has come to the South from North India. 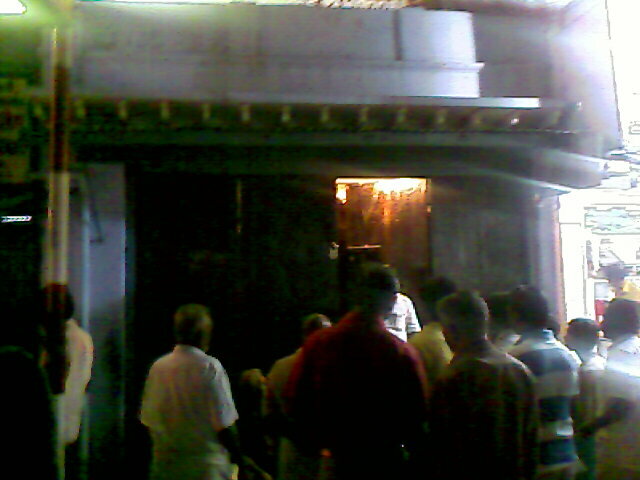 In fact, the owner of a hugely popular stall called ‘Iruttu kadai'(Literally meaning dark shop) is a North Indian, perhaps settled here. It is also said that the halwa gets its special taste because of the water that is used to prepare the same is taken from Tamaraibharani river which runs in the place. 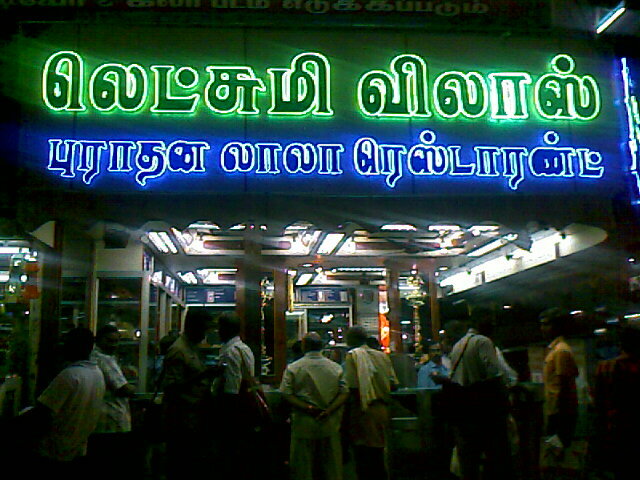 Iruttu Kadai is the most popular shop in Tirunelveli for Halwa. The opens only at 5:30 PM in the evening and remains open for a hour and a half or till all the halwa is sold out. We were lucky to get half a Kg of halwa when we went there at 7:30 PM when the shop was almost closed and only one door was open (see picture above). It seems that earlier, there were no lights in this shop and in the evenings they used a candle to run the business, and hence the name. Now there is an electrical bulb in the front of the store. It seems that the halwa bought from Iruttu Kadai doesn’t get spoilt even for 2-3 weeks. In fact, the people say that the halwa tastes better after a week! And yeah, there is not even a name board for this shop – If you see a bright flashy board in a shop called “Iruttu Kadai” you can be sure that it is not what it claims! 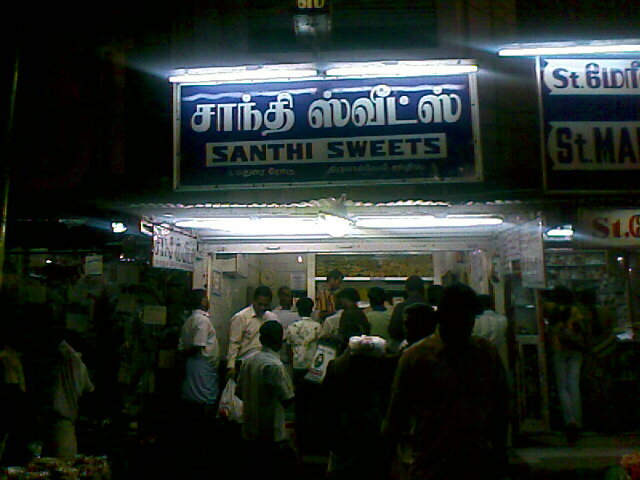 Another hugely popular store that sells excellent halwa is called the “Santhi Sweets”. You need to be careful with this one – There are so many shops with the same place all over the town. But there is only one original! Above, you can see the photo of that shop located right next to St.Mary’s Medicals. The photo was taken at 11:00 PM in the night, and look at the crowd at that time! Fortunately, this shop is open almost 24 hours. People there say that the Halwa from Santhi Sweets is best consumed hot immediately or at least within a week. Another less popular shop (but recommended by some local people) there is called “Lakshmi Vilas”. This shop has good milk halwa and muskoth halwa as well! Below is the photo of the halwa from all the three shops. In my opinion, the halwa from Shanti Sweets is the best, and Iruttu Kadai halwa is a very close second! 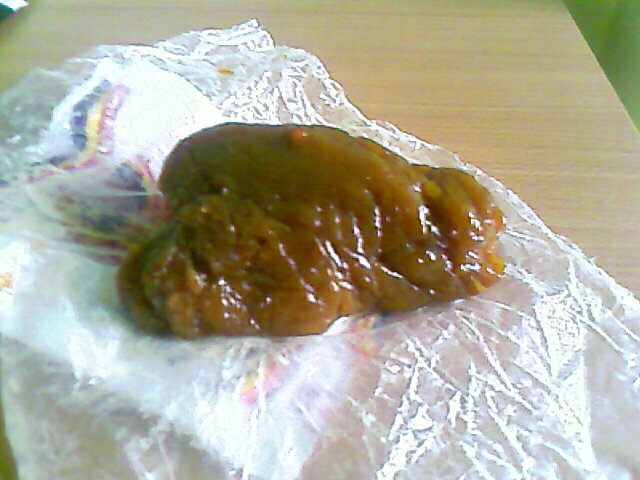 The photo of the jelly like halwa is also published below. 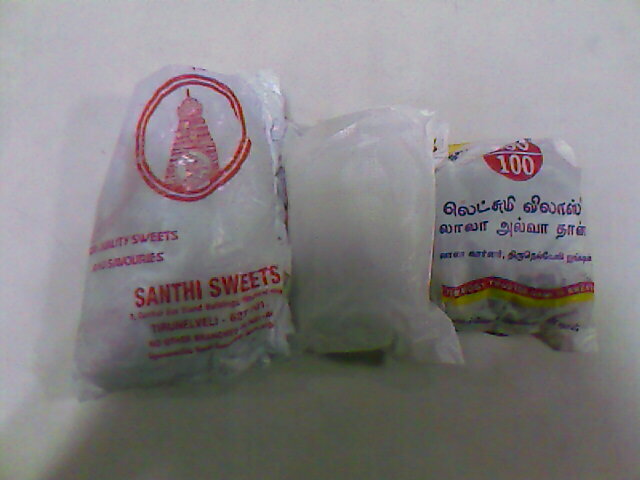 The address of Iruttu Kadai and Santhi Sweets are given in this link. How innovative IT Network infrastructure makes IP excITing! Why not switch over to Linux/ Open Office/ Mozilla? My Professional blog on Computer Networking – www.excitingip.com: Please vote!! "True character of a person can be judged by observing what he does, when he has nothing to do"
"A weed is a plant whose virtues have not yet been discovered"
"Form good habits. They are as hard to break as bad ones"
"A good listener is not only popular everywhere, but after a while, he also knows something"
"Cut your own wood and it will warm you twice"
"How desperately difficult it is to be honest with oneself. It is much easier to be honest with other people"